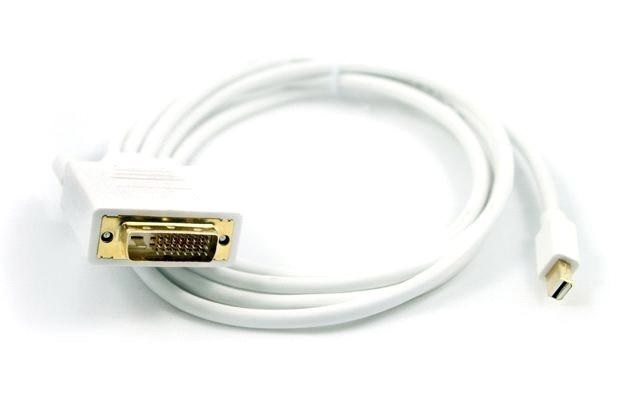 This 6ft (~2m) mDP to DVI Cable is used to connect a DVI Monitor to NUCs using the mDP connector or adapter. This connects directly to the NUC5i3RYK/H, NUC5i5RYK/H, NUC5i7RYH, NUC5i3MYHE, NUC5i5MYHE, NUC6i3SYK/H, NUC6i5SYK/H and NUC6i7KYK A Type-C to mDP Adapter is needed to use this with the NUC7i3BNK/H, NUC7i5BNK/H and NUC7i7BNH This Active cable includes electronics which resolves some issues found in certain conditions. 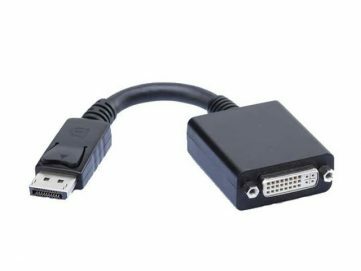 The other end connects to a DVI connector on a monitor. The connector pins are gold plated for worry free connection and the cable has matched length twisted pair wiring that meets or exceeds DVI specs, only limited by the restrictions of the video controller or monitor.